Hooks are essential to many rigging applications, but can differ widely in terms of design, function and capacity. As is the case with any rigging gear, the right choice of hooking equipment is vital to ensuring efficiency and safety on the job. For many businesses, proper mounting, suspending and securing of loads cannot, in fact, be accomplished by standard rigging setups that involve mass-produced hooks. Factors such as shape requirements, environmental conditions (e.g. the presence of heat or chemicals), load characteristics, or high working load limit may warrant an individual solution. This is where specialised lifting hooks come into play. Dedicated hooks can be designed and manufactured precisely to a customer’s specification, for service in industrial working environments differing from the norm. 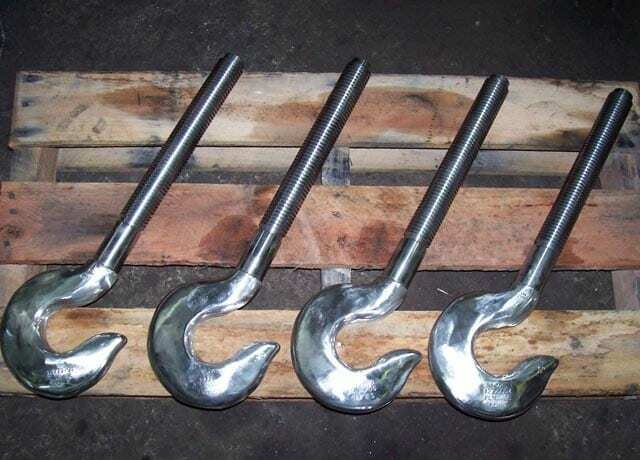 While seemingly a relatively simple piece of equipment, when compared to some of the more complex machinery employed by the industry, handling and maintenance of specialised lifting hooks require special care. A common source of damage for hooks within the smelter lifting equipment, for instance, comes from accidentally dipping a hook into hot metal. This changes the hook’s crystal structure with irreversible damage to its properties, and should be avoided. Another source of concern is safety. Lifting hooks undergo extensive dynamic loading throughout their service life, so regular and in-depth assessments of damage, cracks, bending and straightening are mandatory. Australian Standards clarify inspection frequency, testing requirements and lifespan based on weekly lift cycles and application. For overhead lifting applications, to ensure that the object being lifted stays attached to the sling, self-locking sling hooks or hooks with a latch are to be preferred. A vast array of industries implement hooks as part of their rigging setup. Businesses that require speciality hooks, in particular, can be found within the mining, lifting, manufacturing, timber, metal production (such as aluminium and steel processing), oil & gas, transportation, and construction industries, among others. Reliance Hexham is specialised in providing custom-tailored, off-catalogue lifting solutions produced to your exact specifications. 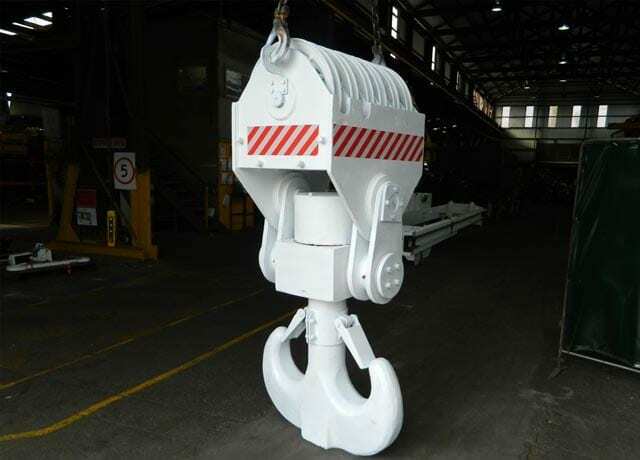 Our range of services includes design, manufacturing, refurbishment, testing and certification of lifting hook equipment in line with Australian Standards and using only the best quality materials. Our team can jump in at any stage of the lifecycle of your existing equipment, or deliver a fully integrated package from initial concept to a finished, certified product. Our specialised lifting hooks services are detailed below. For our other services within lifting, please consult our Specialised Lifting Equipment page. We also produce a variety of ad-hoc accessories such as lifting beams and shackles. Our engineering team is professionally qualified and experienced in the design of speciality lifting equipment to your exact specifications, including hooks. We can create a design from scratch or develop a “new and improved” replacement product, and advise you with regards to the best rigging solution for your specific challenges. Our engineers are continually working on project-specific lifting solutions. These almost always begin with a customer requiring a way to increase productivity, and do so safely. We follow a well-established engineering process to ensure that we deliver high-quality designs meeting all the specifications, time after time. As soon as we accept a project, we start by developing a design concept. We look at both the details supplied by the customer, and the bigger picture to see where the piece of equipment fits within its application. Our concept then takes shape in a 3D model, which our customer evaluates before we continue on to our development phase. All throughout, our team works with a system of checks and controls to ensure every bit of the design is accurate and thoroughly documented. Our know-how is supplemented by the latest software. Our final design will also specify any testing required on the finished product before commissioning. From here, it is possible to proceed on to manufacturing with us (read on to find out about our manufacturing services) or with a third party supplier. 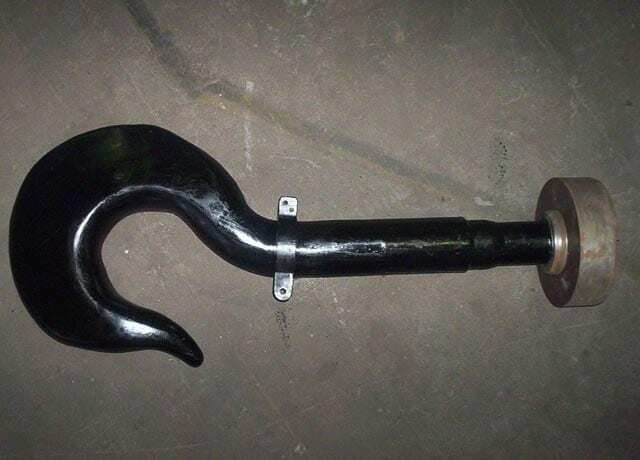 specialised hook for lifting tubs of molten copper. Two examples of our work include the design, development and manufacturing of an over-sized hook for lifting molten pots of steel and, in a different application, for tubs of molten copper. In both instances, the customers were unable to find a satisfying solution existing on the market and came to Reliance Hexham for expert advice and high-quality manufacturing standards. Our team of qualified tradespeople have over 165 years of cumulative experience and take extreme care that each item is manufactured to the highest standards and from the best quality materials. For our hooks, we prefer using carbon steel, a material known for its toughness and ability to bend instead of breaking when undergoing an excessive strain. We are experienced in creating custom lifting solutions for niche needs. Finishing: on request – the product can be painted, galvanised or treated to be spark-resistant for marine lifting applications. Hooks are a vital component of a piece of equipment and prevention is better than cure, as oftentimes lives can be at stake. To find out more about our testing services, please visit the pages dedicated to Destructive Testing and Non-Destructive Testing. Reliance Hexham can overhaul, repair and recertify your existing lifting equipment ensuring it is safe and fit for purpose.